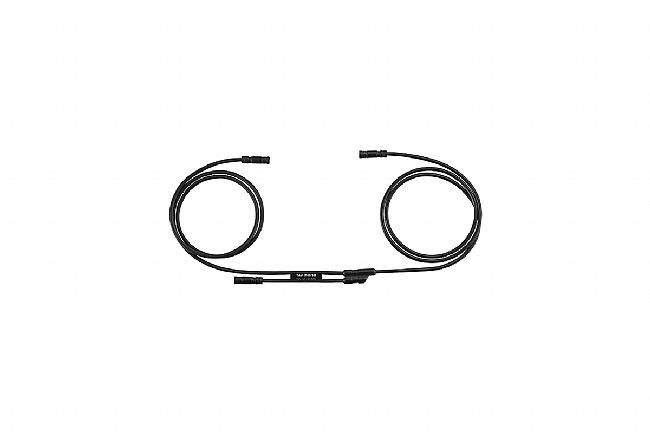 The EW-JC130 Y-Split E-Tube Wire from Shimano is a versatile routing cable that offers more wiring options in connecting Di2 batteries to front and rear derailleurs. It’s available in three lengths to accommodate frames of varying geometries. This unique routing cable is compatible with all generations of Shimano Di2 drivetrains. Effectively expands the number of ports on Junction A.
I added aerobars to my drop bars for a distance event and ran out of ports on even the 5 port junction box A (using single wires). These solved the problem. They function the same as any other Di2 wire.